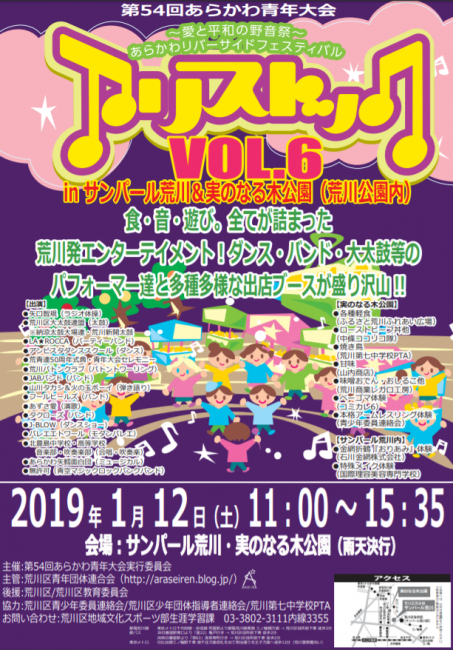 January 12th (Sat) We will be exhibiting at "The 54th Arakawa Youth Tournament Arisutokku Vol. 6"
ISHIKAWA WIRE NETTING Co., Ltd will be exhibiting at the "Love and Peace Open-Air Festival / Arakawa Bar Side Festival 'Arisutokku Vol. 6'". The venues will be the main stage at the SUNPEARL Arakawa and the Fruit-bearing Tree Park. Performers from the Arakawa ward will gather on stage, including dancers, unplugged performers, bands, and more. Additionally, there will be a shop booth and a spinning top booth, and many experiences, like arm wrestling, special effects makeup, and more. ISHIKAWA WIRE NETTING Co., Ltd will be holding an exhibition sale of Wire Mesh Origami [Fabric Metals ORIAMI] and a workshop. We are expecting that it will be a friendly and fun experience for everyone. Please reference here for the atmosphere at a prior event.